The other day I was amazed to see mothers enthusiastically grabbing a new product off the supermarket shelf: a chocolate spread made of soft cheese and milk chocolate. It struck me that whilst the French clamour their gastronomic superiority and force-feed me cheap jokes about flagship British clichés like jelly, cucumber sandwiches, flavoured crisps and mint sauce, they do not seem to see any contradiction between their rhetoric and their regular consumption of what they themselves describe as rubbish. This is my favourite French paradox: their love-hate relationship with junk food. “La Malbouffe” is a recent French term for the invasion of junk food and sodas from the outside world, deemed responsible by many for the decline of traditional family meals and the expanding waistline of the population. I remember one memorable debate during a family meal in Marseille, as we all religiously grunted contentment over the hors d’oeuvres. As white-haired Gervais served the Sauternes to go with the foie gras, he and Mamie shook their heads sadly at how gastronomic standards in France had lowered since Ronald and his pals had arrived on the food scene. When I pointed out to them with a smile that the meal we were eating was probably much worse for our health, I was stared at in horror. I had committed gastro-cultural blasphemy. I could sense a tangible risk of going down in family history as the Judas who had dared to betray the Gallic dinner table as I developed my argument a little further at the end of the meal. During the aperitif we had nibbled on glistening olives, peanuts and crisps. Then we had munched our way through foie gras, and boeuf bourgignon (beef cooked for hours in a rich wine sauce) served with a gratin dauphinois: sliced potatoes cooked slowly in single cream. A huge cheese platter followed, and a salade verte for conscience’s sake before the dessert. The whole meal was washed down with varying amounts of different wines. With all due respect, it was unfair to point an accusatory finger at the number of calories in Ronald’s menu: although it was not the tastier choice, it was probably much less likely to clog up your arteries. The funny thing is that the French appear to be closet junk food addicts. Paradoxically, I see them queuing for their food at one particular “restaurant” much more often than I do – the one run by a scary, oversized guy with red hair, stripy pj’s and huge red shoes. Caught in the act, they shrug their shoulders, wink and say « Oh, we come here for the kids – I can’t stand the stuff. But it can’t do any harm from time to time, hey? », before tucking enthusiastically into their tray full of carbs covered in ketchup and industrial mayonnaise. The face of food shopping in France has changed too. I was surprised when frozen burgers and microwaveable chips appeared in local supermarket freezers. Even the Englishwoman that I am, reared on the likes of jelly and roast beef, can’t imagine buying something like that, let alone eat it. Then take the example of crisps: when I first came here, you chose between bog-standard salted or a strange paprika flavour crisps, or strange things called “Curlies”, that look like bright orange fox poo and have all the flavour and texture of sawdust. Now, supermarket shelves boast acres of crisps with every flavour, shape and colour imaginable. The humble sandwich has also been pulled out of the hall of shame and given a full makeover. When I arrived in France in 1989, it was a survival ration: something you ate when you had no other choice. The SNCF’s* overpriced, droopy excuse for a sandwich was so uninspiring that French upper lips curled in disdain at the mere mention of it. Now supermarkets have an impressive shelf of neatly-packaged triangular butties, indicating that the tables have turned, and that the French have compromised their midday traditions for less tasty but conveniently packaged lunch options whilst the foreign expats scream “noooooooooooooo, don’t do it!” on the sidelines. And let’s not forget the “approved” daily junk food. Believe it or not, there are skeletons in the French pantry, tucked between the fond de veau and the bouquet garni. 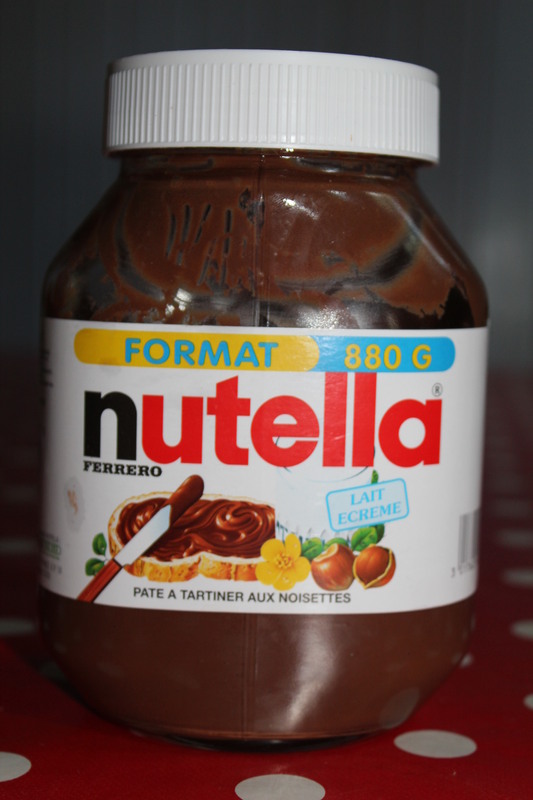 The vast majority of French kids – and adults – are hooked on Nutella, or “Nutegras”**, as I call it. Advertising promotes the nutritional benefits of the nuts, milk and chocolate it contains, yet mysteriously forgets to mention the remaining 70% of the recipe: sugar and palm oil. 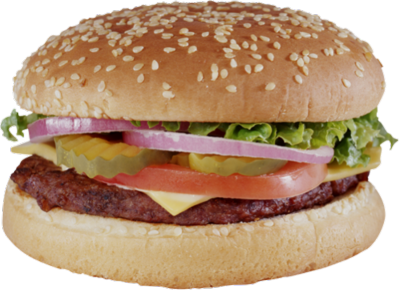 This does not appear to be a major concern for French parents, who have nevertheless given it the thumbs-up for daily consumption whilst remaining highly suspicious about the nutritional value of the humble hamburger – with its bread, ground beef and fresh salad ingredients. So I’m sorry, France, but I am baffled by your dual gastronomic personality and amused by your “do as I say, don’t do as I do” junk-food denial. I hope that one day you will come out of the closet and freely admit that you enjoy “junk” food, which is no better and no worse than the traditional meal, and that moderation is necessary in both. And please stop worrying about the burger removing Mamie’s traditional nosh-up from the podium: it’s just not going to happen, guys.